Christopher Bailey, who stepped down as chief executive of luxury goods group Burberry in July following investor unease, is to leave the company entirely by the end of next year. Shares in the business, renowned for its trenchcoats and distinctive check patterns, fell more than 2% initially, although they were later down just 0.3%. Bailey was credited with helping transform Burberry from a small UK company into a global fashion brand, building up its digital presence by streaming its fashion shows live and redesigning its flagship stores. Bailey will receive his salary, pension and contractual cash allowance and non-cash benefits until the end of 2018 but no cash bonus will be paid for the period after March. He is surrendering various share awards given as part of the company’s incentive plans, which are worth £16m at current prices. Bailey has been at the company for 17 years and its chief creative designer since 2009, and in May 2014 he also became chief executive following the departure of Angela Ahrendts to Apple. Investors initially backed Bailey in his dual role, but anxiety over his leadership began to grow, following flagging sales, especially in key markets such as China and the Middle East. There were also protests against his pay packet, which rose from £1.9m to £3.5m last year, while he also received £10.5m in shares in July. As a result Burberry appointed the luxury goods veteran Marco Gobbetti as chief executive, with Bailey given the title of president to add to his chief creative officer role. Now in a statement Burberry said Bailey would step down in March 2018 “to pursue new creative projects”, but would provide support to Gobbetti until the end of next year. 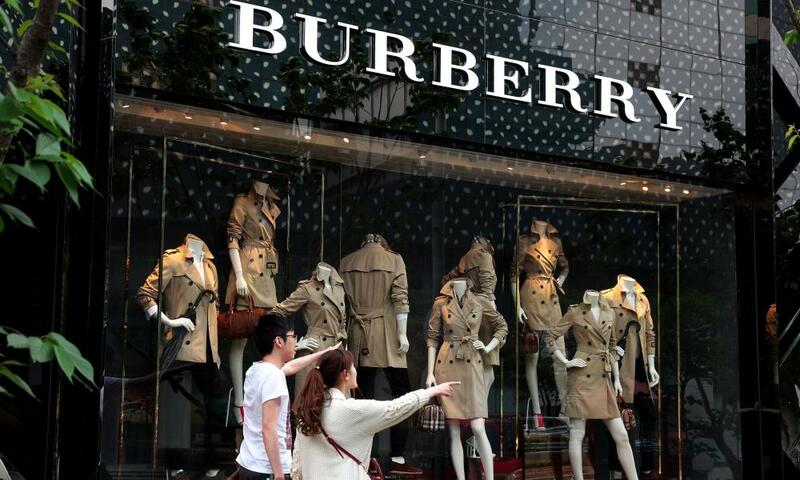 Gobbetti has been with Burberry since January, although he only formally took over as chief executive in July. Sources said the two had been working together on strategy, but Bailey felt with the new leadership in place it was time to move on. Gobbetti said he was sad “not to have the opportunity to partner with [Bailey] for longer” but he had enormous confidence in the company’s future.